A new report has highlighted the threat marine plastic pollution poses to seabirds in the north-eastern Atlantic region. 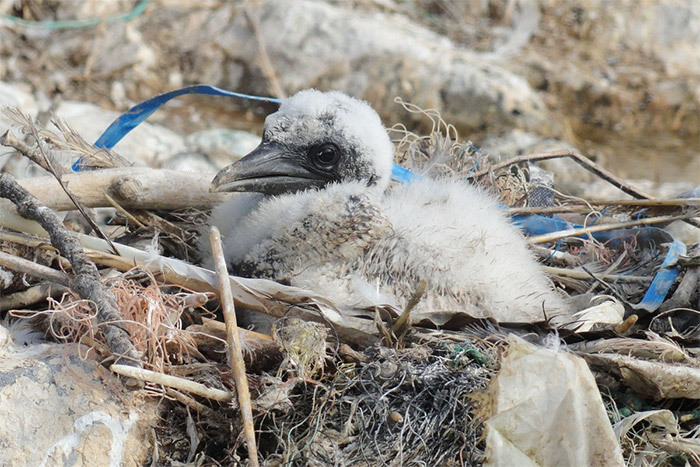 Researchers found that, of 34 seabird species investigated, 74% have ingested plastic. The paper, published in the journal Environmental Pollution, was written by scientists at North Highland College UHI’s Environmental Research Institute, part of the University of the Highland and Islands, and the RSPB Centre for Conservation Science. The authors collated data from all known studies reporting instances of plastic ingestion and nest incorporation in seabirds around northern Europe, Scandinavia, Russia, Greenland, Svalbard, the Faroes and Iceland. Dr Alex Bond, RSPB senior conservation scientist, said: “The north-eastern Atlantic Ocean is home to internationally important breeding populations of seabirds and an amazing array of other marine life. Solutions to plastic pollution in the oceans require concerted action at its source on land - 80% of marine litter is thought to come from land - especially by producers and users. While the team’s research highlights some concerning statistics, its report concludes that more coordinated, comprehensive and detailed investigations are required on plastic ingestion and nest incorporation to assess the full impact marine plastic is having on seabird populations. The group’s research was undertaken as part of Circular Ocean, a project funded by the EU’s Northern Periphery and Arctic Programme, which aims to incentivise the reuse and recycling of marine plastic litter in remote and rural regions.